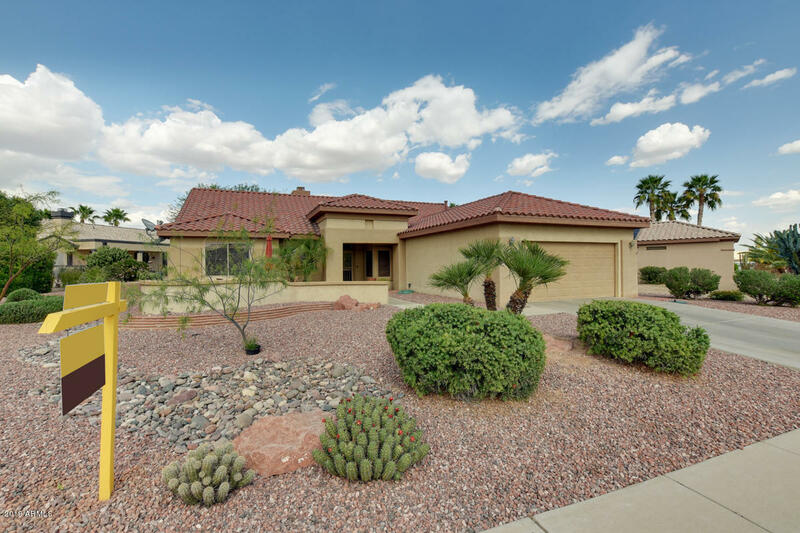 Lovely Cholla model on quiet interior lot. Great room concept, 1,934 square feet, 2 bedrooms, 2 bathrooms, den, eat in kitchen and dining area. Large open kitchen with island, maple cabinets. Newer stainless refrigerator,microwave & dishwasher. Tile floor in all the right places. Enclosed den. Fireplace. Bay window in master bedroom. Inside laundry, newer washer/dryer included. Extended garage with storage cabinets. Relax on the courtyard and watch the sunset. Extended patio with knee wall. Most furnishings available separate.